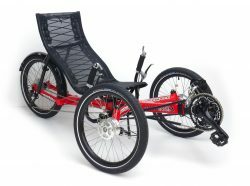 Greenspeed is the world’s largest, well-respected manufacturer of tadpole trikes. Tadpole means two front wheels. 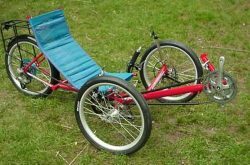 These trikes tend to be more expensive, lower, faster and more stable at higher speeds than the delta trikes with 2 rear wheels. Tadpoles steering “feel” is like a sports car. 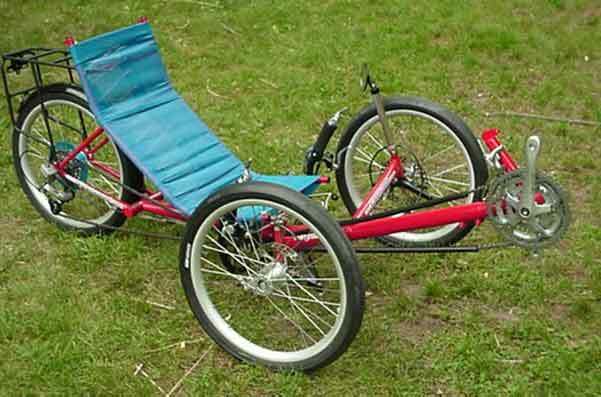 Delta trikes, on the other hand, are typically higher, slower, less stable at speed and easier to get onto/off of. I’ve ridden a Greenspeed GTO trike on two 50-mile rides. On the first I was alone and it was hilly. 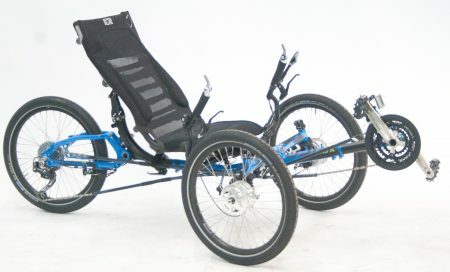 The other was pretty flat and I had the company of 100 others on recumbents. 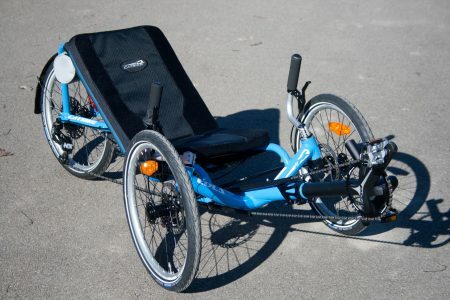 Trikes in general and the Greenspeed, in particular, are great on hills! Even the biggest hills aren’t intimidating. You don’t have to worry about your speed dropping so low you can’t keep your balance. With the 72 gears on the GTO you can climb till the rear wheel spins. (I meant this as a joke but on dirt roads, this could happen…). At the start of the BROL 50 mile ride, I had a great time riding around the parking lot among the 100 bents without having to take my feet off the pedals. 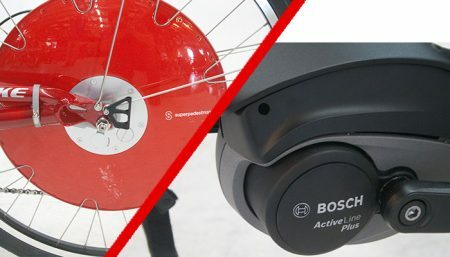 And the Greenspeed can turn very small circles in a parking lot, though the handlebars interfere with your knees a bit on the tightest. This interference is not a problem on rides, just tight maneuvers in parking lots. At the beginning of the ride, I raced to the front and stopped to count all the bents as they rode by. This put me in last place (it isn’t a race, it isn’t a race…). I caught up in the next ~20 miles and had a great time talking to folks on my way by. I should mention that the fastest dozen or so riders took the high road and climbed 500-600 more vertical feet than the rest of us. After lunch, we were pretty spread-out riding 25 miles on a pretty much flat road, upwind. I was in roughly 5th to 10th place and felt I was working harder than the two-wheelers around me. Trikes are fun and easy to get used to but you can go faster for less money with a two-wheel recumbent. Trikes are wider than bikes but when traffic comes along you can ride on the shoulder (if there is one) without worrying about traction or being knocked over by the ridge at the edge of the pavement. 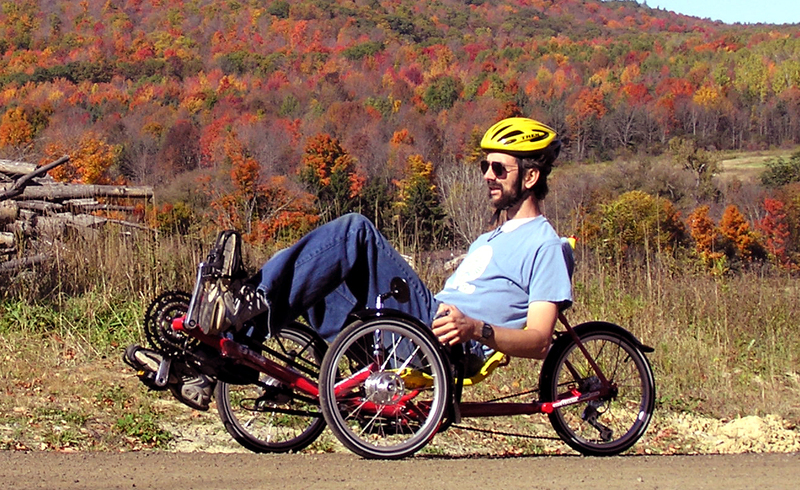 Trike riders can watch the scenery better without worry about falling over or leaving the road unexpectedly. 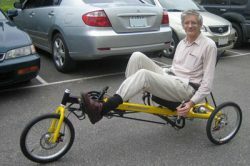 Most trikes put their riders pretty low for riding in heavy traffic. Flags and mirrors help but you can’t see over a car, not even a Ferrari! A parking brake is nice and can be easily improvised. 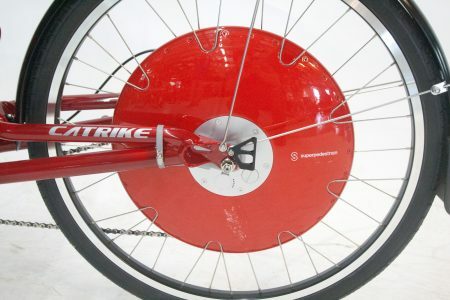 Trikes are bulky but will fit through a door (with practice) and can be easy to tie on the roof of your car, resting stably on the three tires.